Longtime friend of the podcast Christine Minnich stops by to talk about why she moved to Lancaster city and her love for history. 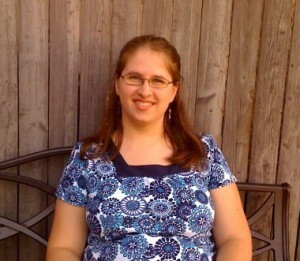 Christine is currently working on writing a book about the 200 years of her Elizabethtown church’s history. She also shared with us how she uses online ancestry tools to do research for her book and personal family tree. We learned about how books are constructed and how Christine makes books by hand. Chrstine has organized a concert of Hiram Ring and Nathaniel Tann at Bossler Mennonite Church the evening of June 26. More information can be found on the Facebook event page. We also discuss two new podcasts in Lancaster: The Tourist Trap and Around the Wood Stove. Christine’s blog is Unveiled Patterns, she is on Twitter as @unveildpatterns, and she is the graphic designer for Math-U-See homeschool curriculum. Listeners of this episode may be interested in the Lancaster Mennonite Historical Society and their Lancaster Roots 300 campaign for 2010. Support for this episode of The Lancast has been provided by Karlo Photography, Meteor Tower Films, PhotOlé, Lancaster County Art Association, and the Rumschpringe Short Film Festival, taking place June 4th and 5th at the Theater of the Seventh Sister. I mentioned Goshen being in Kansas. Goshen is actually in Indiana.